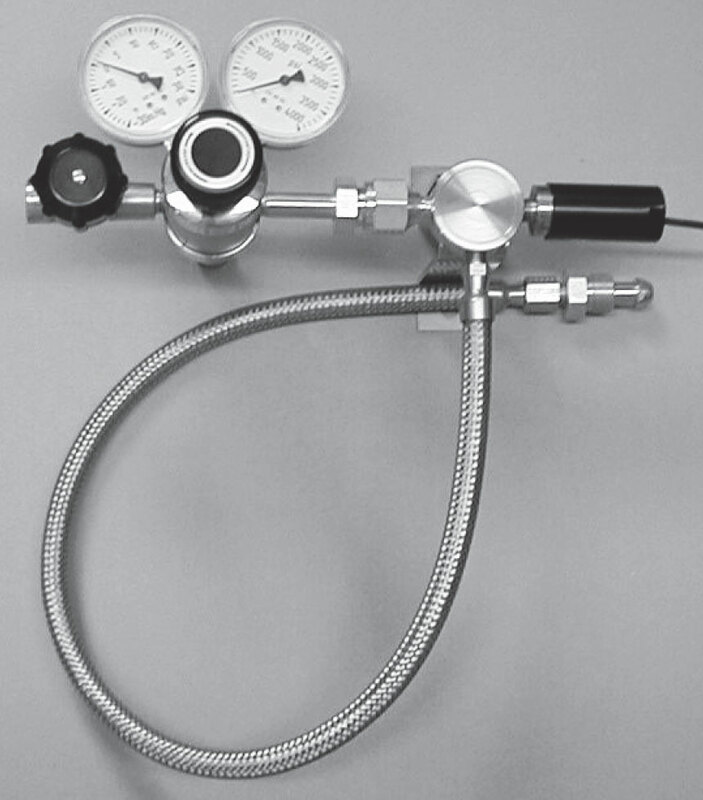 The 917 protocol station is designed to provide a convenient way to mount virtually any pressure regulator that has a CGA connection or 1/4" NPT female inlet. The wall mounting of a regulator makes changing cylinders safer and hassle-free, while protecting the regulator from damage during the changing process because the operator handles only the flexible pigtail. regulator easy should it need to be replaced for any reason. A pressure switch alarm option is available to alert users that the cylinder in use is approaching empty. When check valves are selected they are integral with the CGA connection to the cylinder. All models are rated for 3000 psig operating pressure. The 917H protocol station is designed for use with helium and hydrogen and mixtures containing them. This model maintains the economy of the brass unit, but replaces the Teflon-lined pigtail with an all stainless steel pigtail to eliminate the diffusion of these small molecule gases trough the Teflon lining. Regulator is not included and should be ordered separately. Pressure switch is optional.